Portsmouth, UK– April 2019 SeaWays Global is excited to announce that Commodore Paul Robinson, Royal Navy has been appointed Chief Operating Officer, SeaWays Global as of 13 March 2019. Paul has over 40 years of experience in maritime business. After a full career in the Royal Navy, including several command positions, he moved to the commercial maritime sector managing a marine services portfolio which included a £1Bn PFI contract providing towage and other support services in the UK Royal Dockyards. With a background in business development as well as contract delivery, in his new role, Paul will be responsible for leading and supporting further development of the SeaWays brand. “I have worked with SeaWays for 4 years in a supporting role and am thrilled to be moving into a more pivotal position. 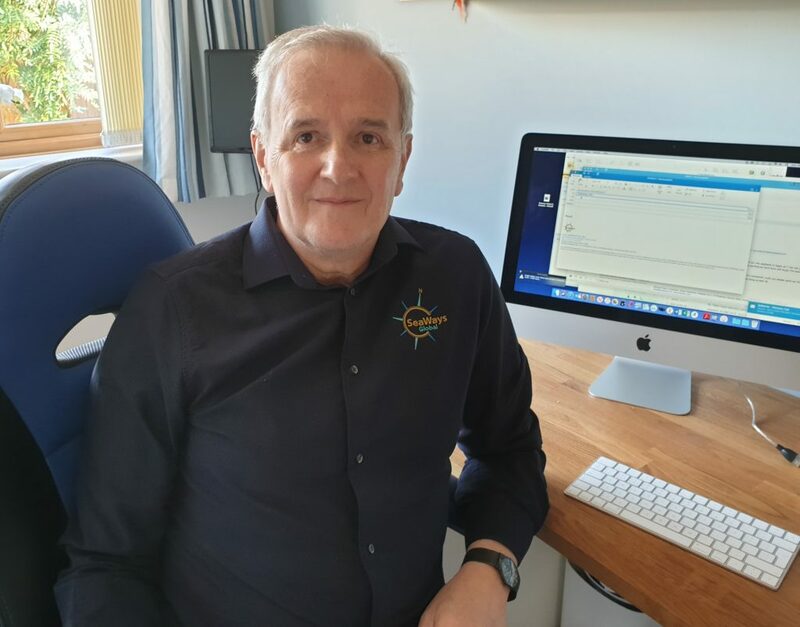 Under Steve and Neil’s guidance SeaWays Global has built on the fantastic foundations laid by Arie Nygh of SeaWays Consultants. Having secured some superb long-term business, the company now stands on the edge of even more truly outstanding opportunities. We have a very exciting time ahead”, says Paul Robinson. SeaWays Global are delighted to welcome Paul into the role of Chief Operating Officer for the business. Both Neil Sadler and Steve Sandy know that the continued growth of SeaWays Global is in very good hands with Paul at the helm and he will certainly bring a great deal of experience and necessary skills to enable us to reach our goals year on year. The business is seeing huge growth which is enabling us to expand our team and with this many exciting opportunities are becoming available. As Chief Operating Officer, Paul will be pivotal in shaping the future of SeaWays Global and will deliver on all future growth areas. This will in turn enable SeaWays Global to consistently enhance and grow our training products and customer base, keeping the world class standard as the standard for the industry. We wish Paul success in his upcoming duties.